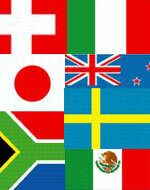 For those outside the U.S.A, please click here to locate international Free Agent distributors. Enter an address to search for dealer. You can either enter full address information or just enter a zip code alone. This store locator works only for US locations. Attention Free Agent Bicycle Dealers, if you find your information to be incorrect, please use the Dealer Address Change Form to update us your correct contact information. Thank you!